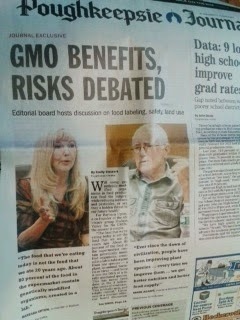 I want to thank the Poughkeepsie Journal for providing an opportunity to discuss the subject of GMOs in a more depth fashion yesterday at their Editorial Board meeting. I was presenting views about the need to label GMOs and Mark Adams, president of the Dutchess, Putnam, Westchester Farm Bureau was presenting the other side. I was impressed that he expressed sympathy for people's desire to know what is in the food they are eating and feeding their families. 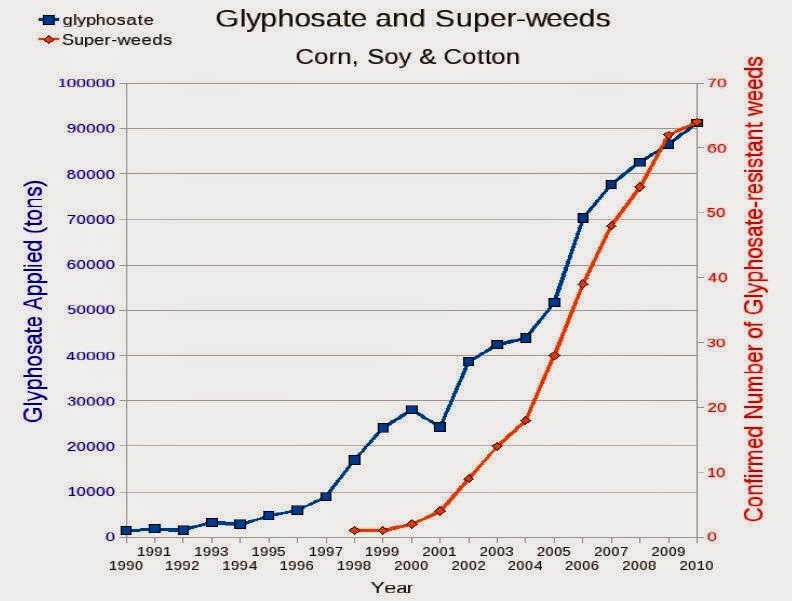 We were, however, antithetically opposed when it comes to the impact GMOs are having on public health and our environment. 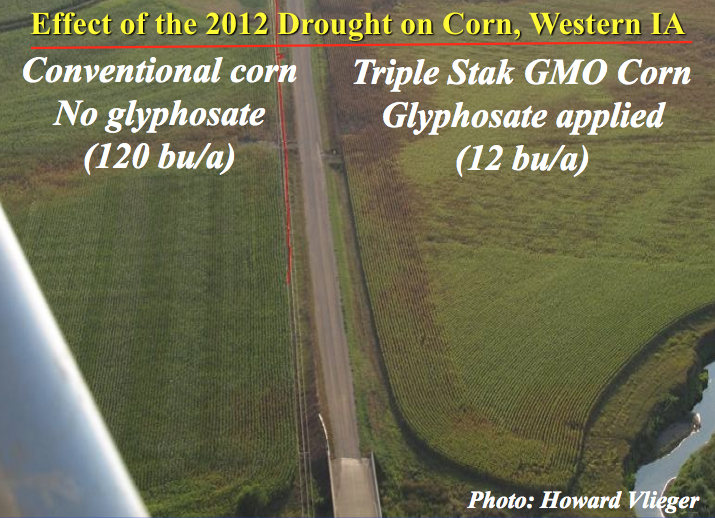 Mark contends genetically modified crops are the same as any other crops and are necessary to feed a starving world. He said that GM crops decrease pesticide use, increase yields and have never proven to be harmful. I respect Mark and the NY Farm Bureau that represents 25,000 farmers. We at Hudson Valley for No GMOs count many farmers as our supporters. We appreciate the incredibly hard work they do to provide us with nourishing food. They are our heroes! Yet, I feel I need to set the record straight and I also wanted to include links to sources I mentioned in the talk. 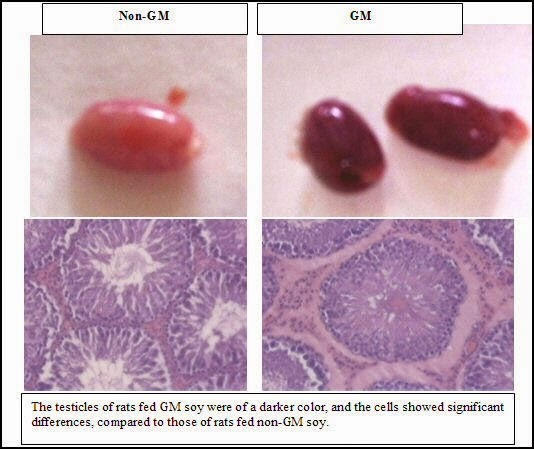 A study by the Russian National Academy of Sciences showed that hamsters fed GM soy were infertile by the third generation. 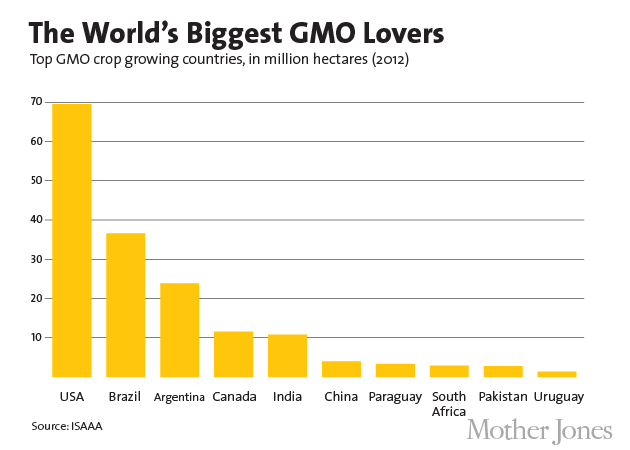 GM crops are failing and reports of the harm they cause are increasing. I mentioned the fact that Russia has completely banned GMOs after their senior scientists reported that they cause obesity and cancer in animals. I just learned today that GM grain and oil is also now banned for the 2.2 million Chinese army because of health concerns. Can it be long before they are banned entirely in that country too? They would be joining many countries banning GMOs totally or in part. Additionally, three billion people in this world live in countries that require labeling of GMOs! 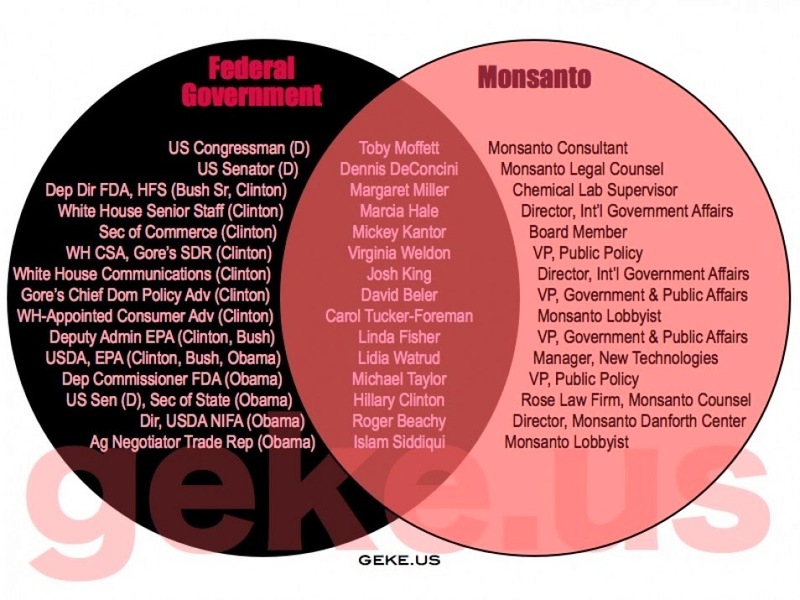 Isn't it time for Americans to know what they are eating and feeding their families too? Although we made great strides this year toward labeling in NYS, Assembly bill 3525 and Senate bill 3835 did not pass. Big thanks to GMO Free NY Director, Stacie Orell, who planted herself outside the doors to the Assembly for whole days to try to win more support/cosponsors for the bill! So many worked so hard this year for labeling and we thank all. Preparations for passing GM labeling for New York in 2015 have begun. Be a part and stay informed on the latest and most important news on GMOs - send your email to hvnogmos@gmail.com. We promise to never share your email with anyone. Check out our page, 5 Ways to Avoid GMOs, if you are new to the subject and want to protect yourself and your family. Thank you to Mark Adams, president of the Dutchess, Putnam, Westchester Farm Bureau for taking the time to discuss this important subject. Thanks too to: John Penney, community conversations/editorial page editor; Emily Stewart, reporter, food and drink; Dugan Radwin, editor of "My Valley" environmental section, Erika Smith, editorial assistant and all the good folks at the Journal. We appreciate the opportunity to share the facts on GMOs and the threat they pose to public health, the environment and food security. At the end of the video I tried to give a shout out to my partner here at Hudson Valley for No GMOs (but it got cut off).Thank you to Beth Dulay - committed, knowledgeable, persevering and passionate about a safe and healthy food supply for today and for future generations! With so many scientific studies showing harm- why this rush in the US?